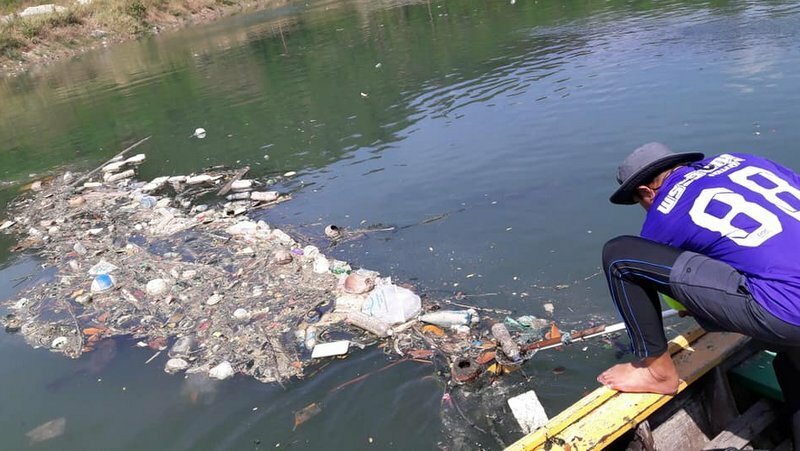 PHUKET:-- Tired of no action from officials, one local resident in Patong has spearheaded a campaign to carry out his own ongoing clean-up of the Pak Bang Canal, which empties into Patong Bay at the southern end of the beach. Perhaps they need TAT to get involved here as it is in a high tourist area. TAT Trash Authority of Thailand. Looks like the kid could run the real TAT single-handed. I just hope he doesn't absorb the bullshitting that TAT are renowned for. I was more concerned with why his parents and the "authorities" allow an 8 year old to be swimming in "the filthy Pak Bang Canal". Good on the boy for trying, shame on the adults for allowing it. The 'adults' probably have no idea of what dangers lurk in the water. Well, hopefully, they will never allow a river in Thailand to get like this, although I've heard some keep trying. Would it not help if a net were to be dropped across the location and pulled up and emptied a couple of times a day? Simple and effective but maybe beyond reasonable thinking for some people. That way the boy can collect what he needs to earn some money by selling the bottles, etc. on to the local scavenger. Good points. We live in the country but are fortunate to have a garbage pick up once a week. We practice plastic, glass, metal recycling and the rest goes in the truck or compost. 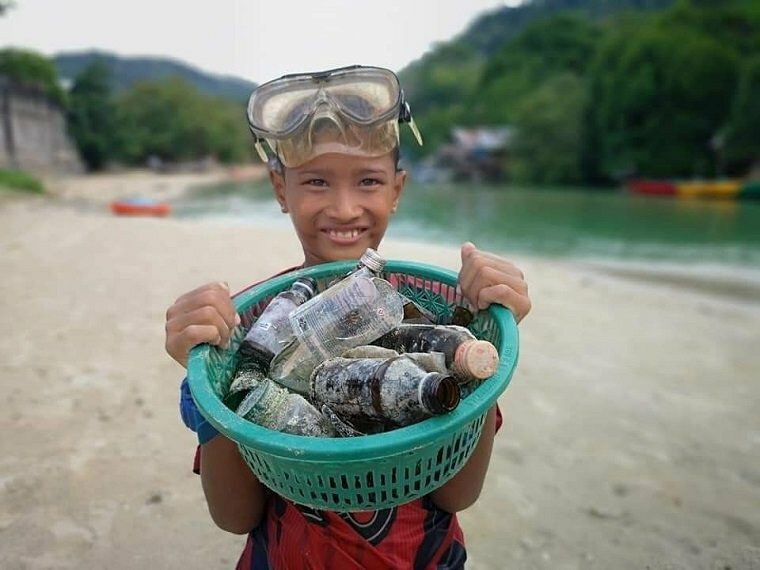 Since there is still a lot of poverty in the country, plastic bottles and cans rarely last long by the roadside as pickers are always on the lookout to make a few satang. The areas around Phichit are relatively clean except for the odd pile of construction drywall etc that mysteriously gets dropped off when no-one's looking.